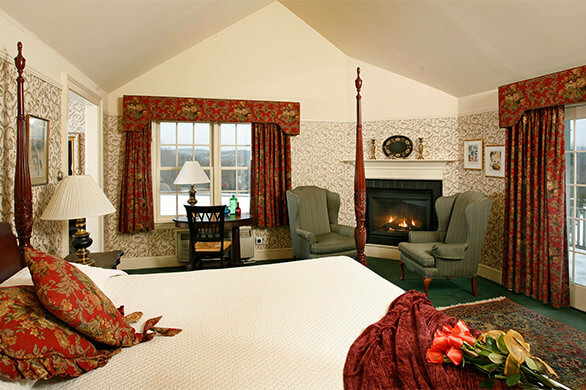 The Main Inn building sprawls across the knoll at the top of the inn’s winding driveway. 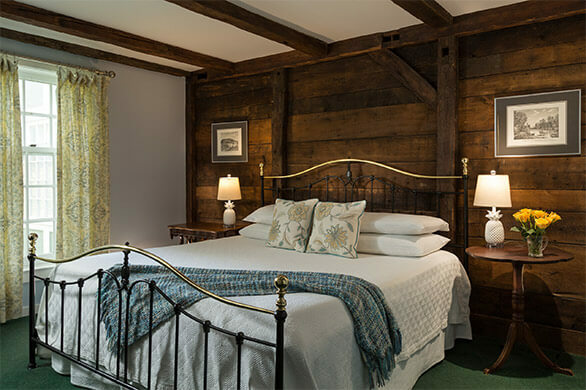 The old farmhouse with barn and sheds attached was renovated into a country inn in 1984 with large comfortable guestrooms. 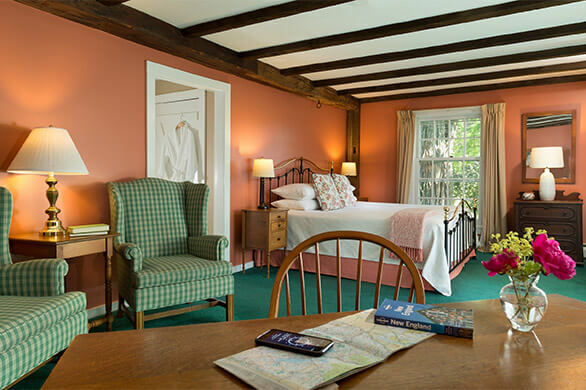 The Main Inn sits at the top of the inn’s winding driveway and boasts large comfortable guestrooms in its old farmhouse, renovated in 1984. 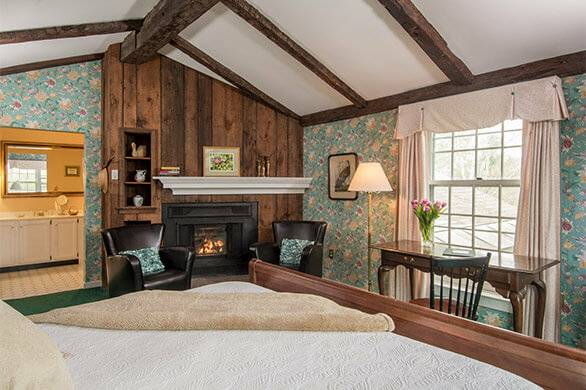 The Cottage was built in 1995, and houses Rooms 19 and 20, which have whirlpool tubs, gas fireplaces and private decks stepping out to the back lawn. 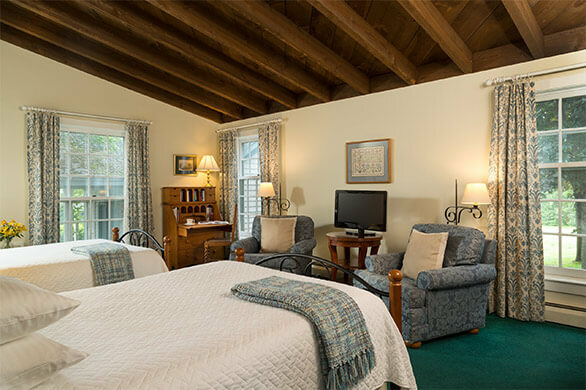 Judy and Phil built the Wetherby Building in 1992, naming it for the property’s first owner from the late 1700′s. 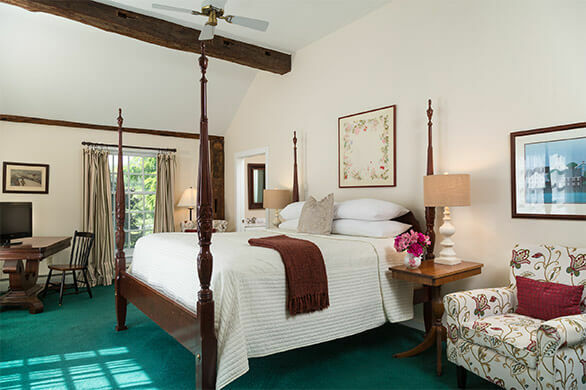 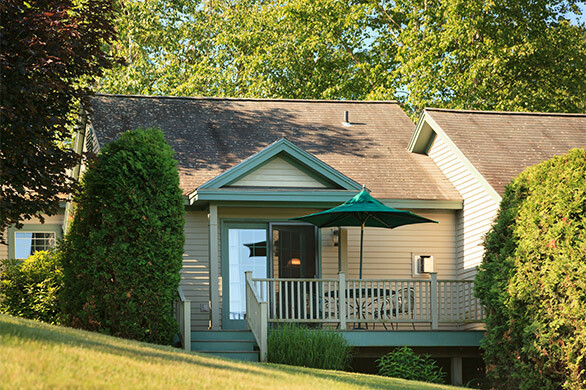 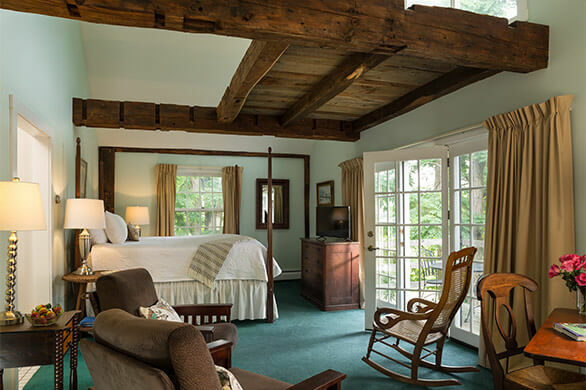 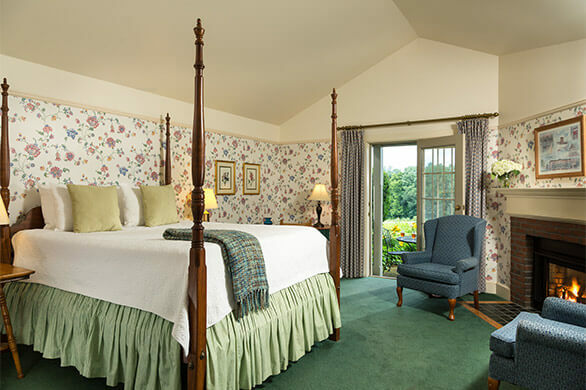 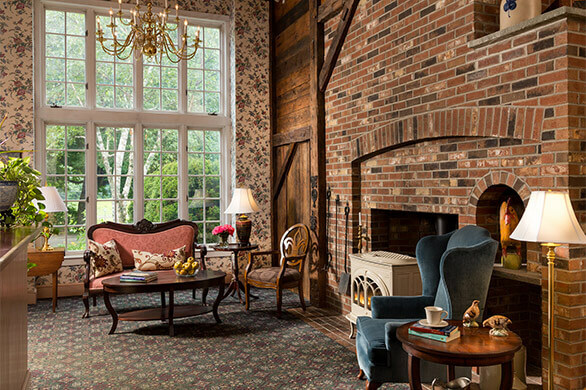 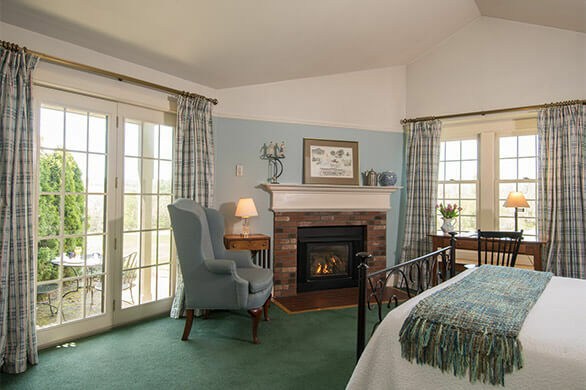 The setting of our luxury bed and breakfast in New Hampshire takes full advantage of the beautiful natural surroundings of the Connecticut River Valley. 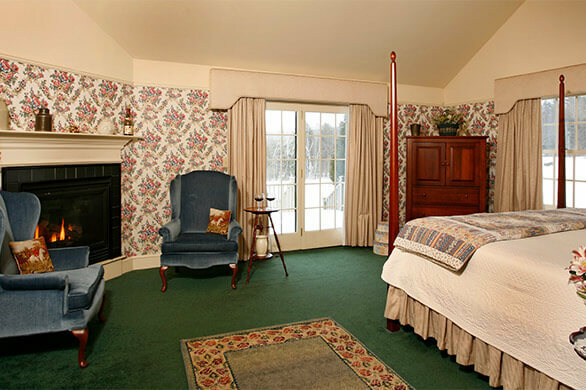 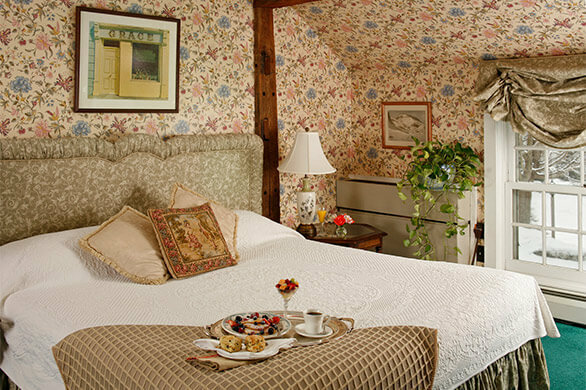 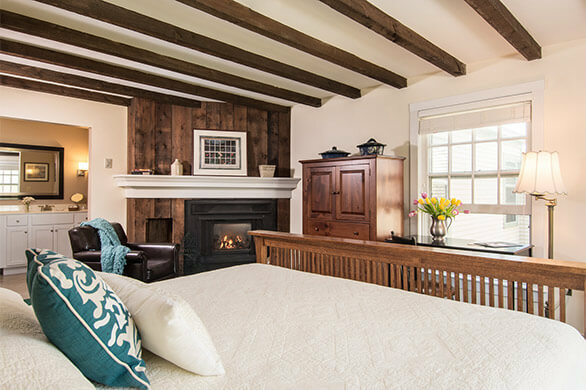 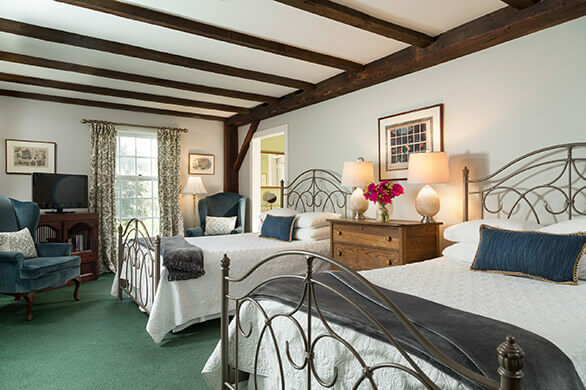 The guest rooms at our romantic NH inn are nestled in the original house, the Cottage, and the adjacent Johanna Wetherby Building. 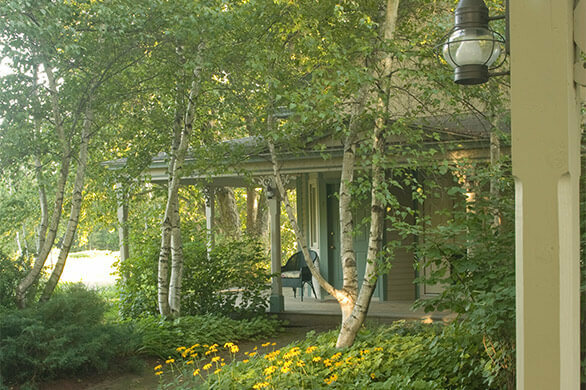 View our accessibility features and policies. 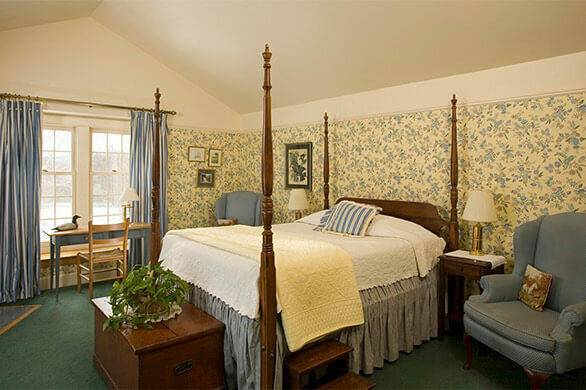 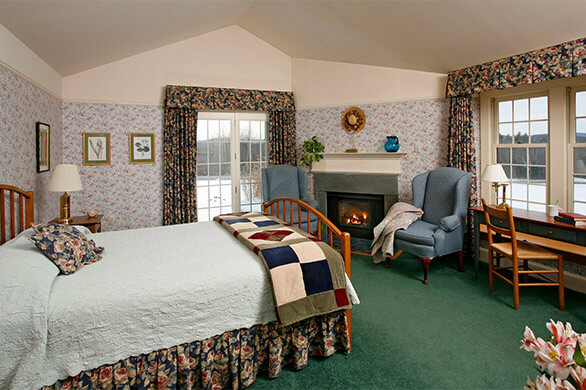 Join us in our romantic New Hampshire bed and breakfast for a getaway to remember.